The very last minute HEM!!! 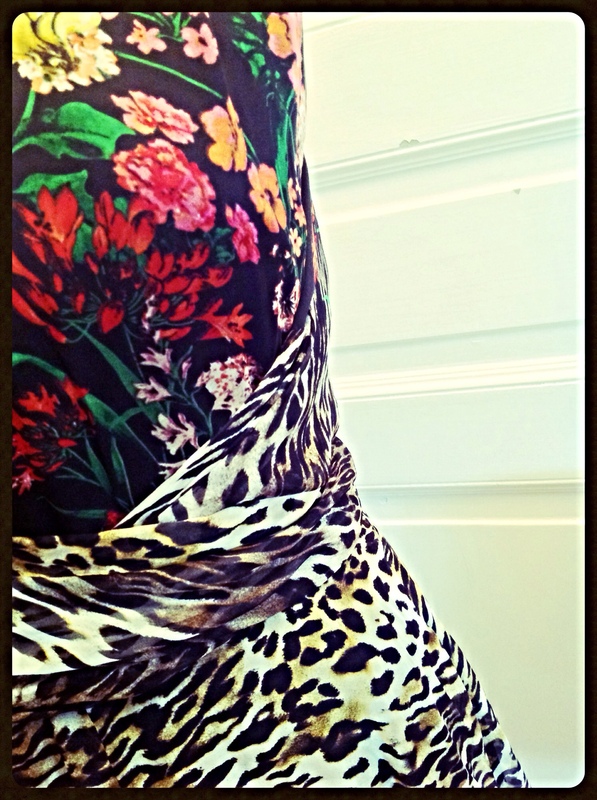 A few monthes ago I saw this amazing fabric: silk chiffon in a leopard print with a flowers ombré pattern….. I knew immediatly I wanted to make myself a gig dress -to see Nick Cave and the Bad Seeds in New York- like this and ordered it. First I didnt have a very defined idea about the pattern, but for sure a circle skirt with a lot of twist and the flower print at the bottom was what I wanted. For the bodice I wanted to use mainly the blooming part of the fabric. 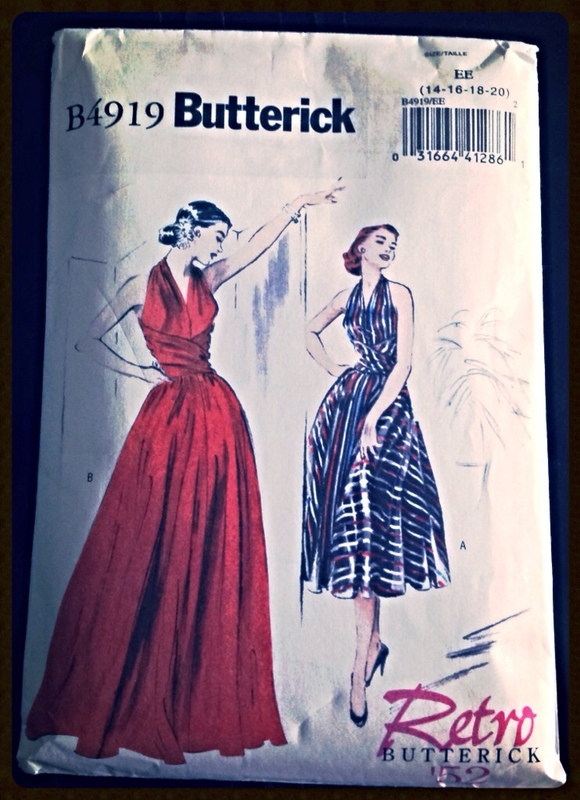 I eventually find this ” easy” Retro Butterick pattern. 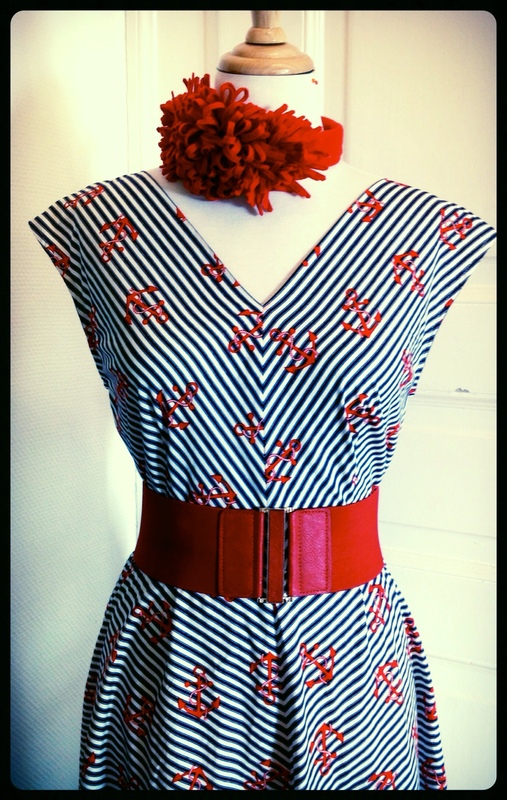 I loved the wide crossed belt and the V decolletee. The bodice has got a very special construction with NO side seams and a double crossed layering. The front bodice extends a bit in the back and is tightly joined with fasteners in the back, while the back bodice extends with a very long scarf looking belt crossed at the front and knoted again in the back. 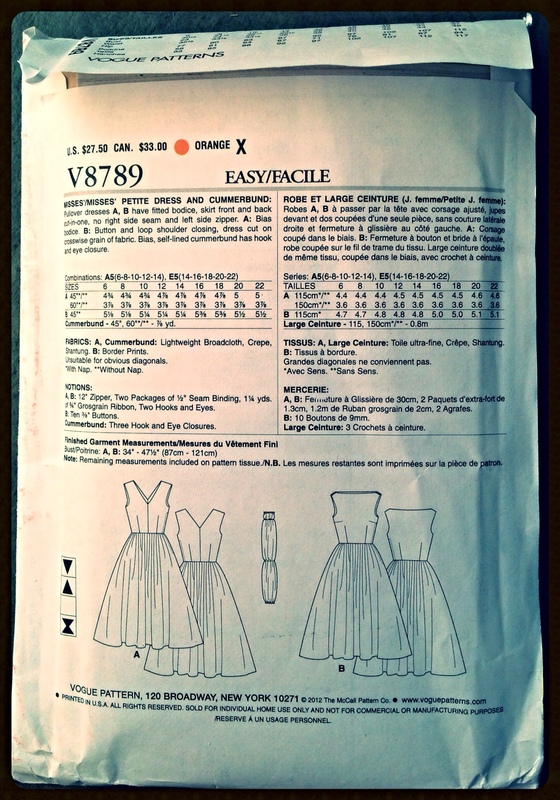 That ” easy” pattern revealed to be really tricky , especially the last steps to join the front and back bodice to the skirt. But with the precious help of Audrey, my magic sewing teacher, we could finalize it after a lot of brainstorming! That very thin silk chiffon also needed a special treat regarding the hem and Audrey kindly took my dress to her sewing room to finish it with her professional overlocker. And it is perfect! Heming a few hours before landing in New York! Looking forward to wear it next sunday at the Hammerstein Ballroom! Hope it will stand the jumping up and down……..
That dress escaped a tragic fate….. 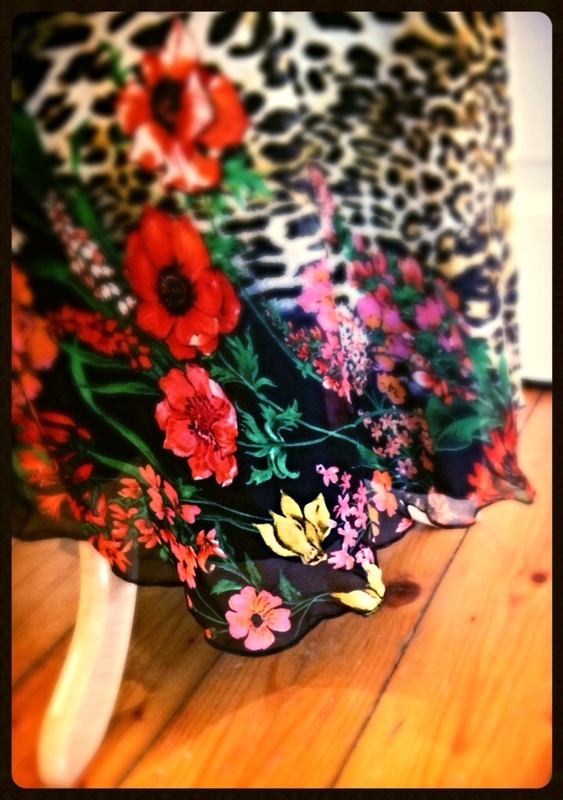 I bought this pretty fabric one year ago in England and planned to make a dress but didn t have a precise idea. 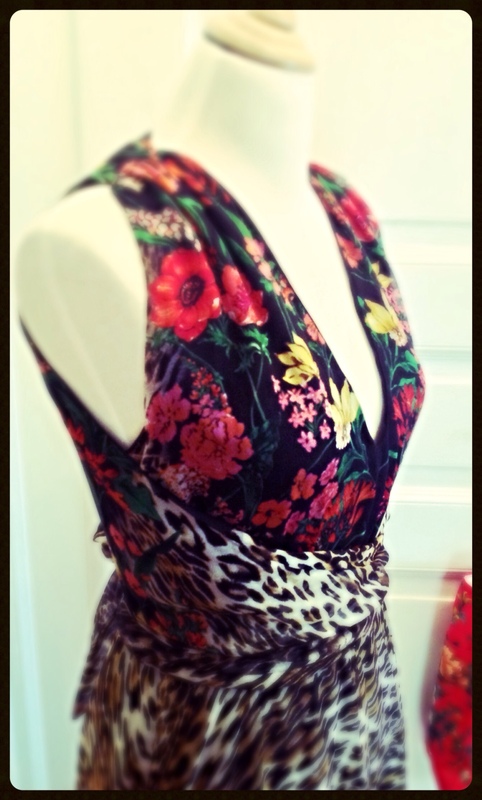 Recently I took a look at my patterns collection and wanted something easy to sew and to wear. 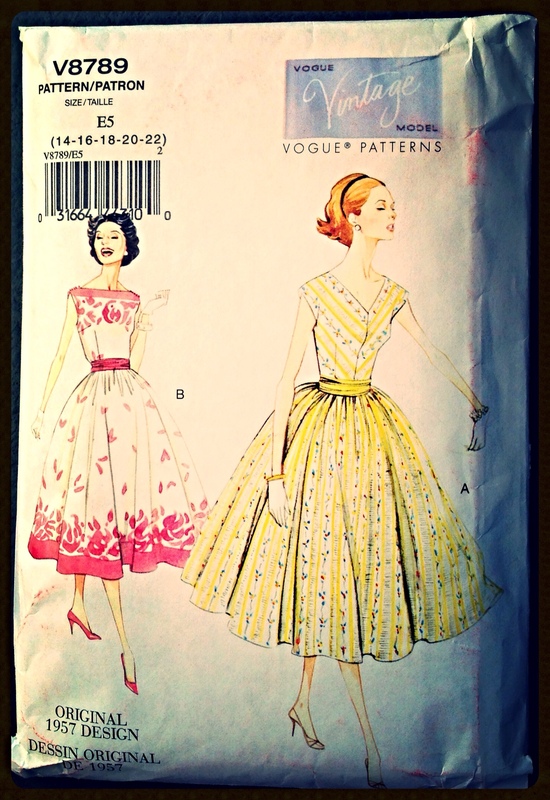 This Vintage Vogue pattern with a V neck looked great and I thought a stripped fabric would enhance the bias cut bodice. 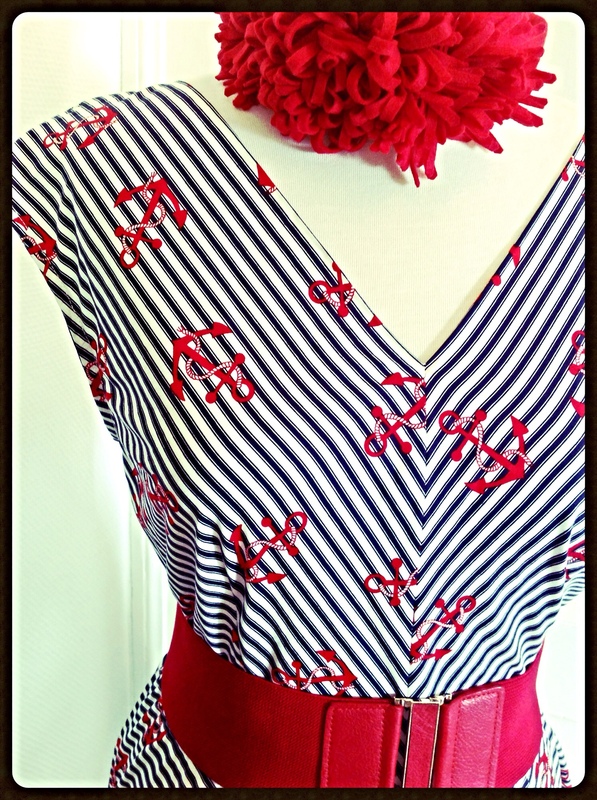 I then decided to use my lovely anchors fabric. I do not like that much dirdnl type skirts and went for my fav skirt type, a half circle. Then I cut the bodice and……….DAMNED! I only had enough fabric for the front bodice! 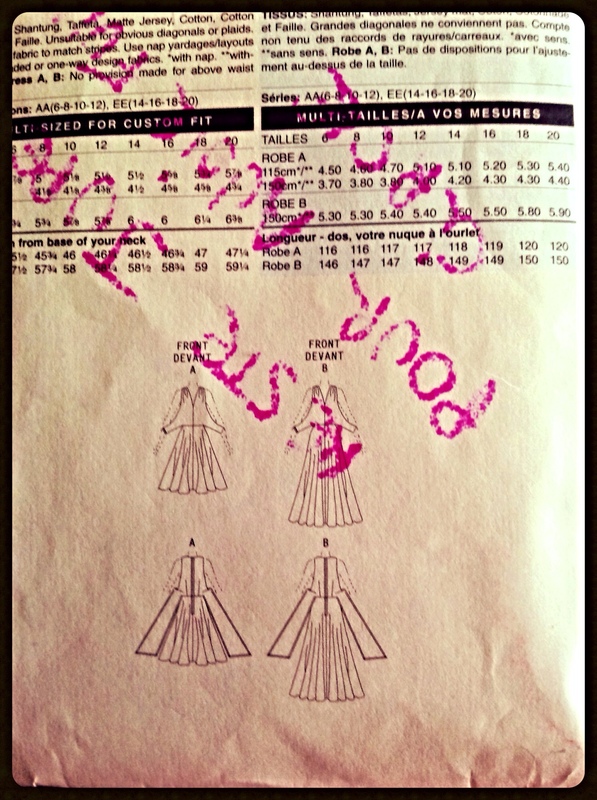 As the bodice is cut on the bias it requires more fabric than a bodice cut on the grain …….. I asked to my personnal coach aka husby if he ever saw a dress with a back bodice in a totally different fabric than the front….. But really I couldn t picture it for that dress! I was lucky enough to return to England shortly after and even more lucky to find the exact same fabric to be able to finish that dress with all the respect it deserved! I m very happy with the result and will probably buy bigger coupons in the future to avoid any other bad surprise like this one! 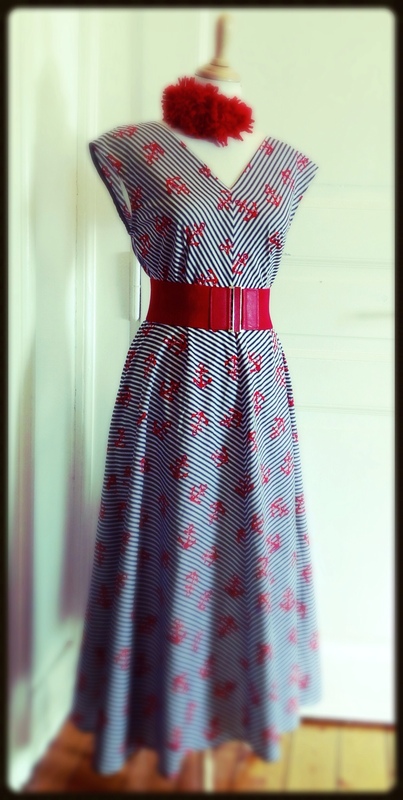 I am pretty sure I ll soon make an other dress with this very nice and easy pattern. 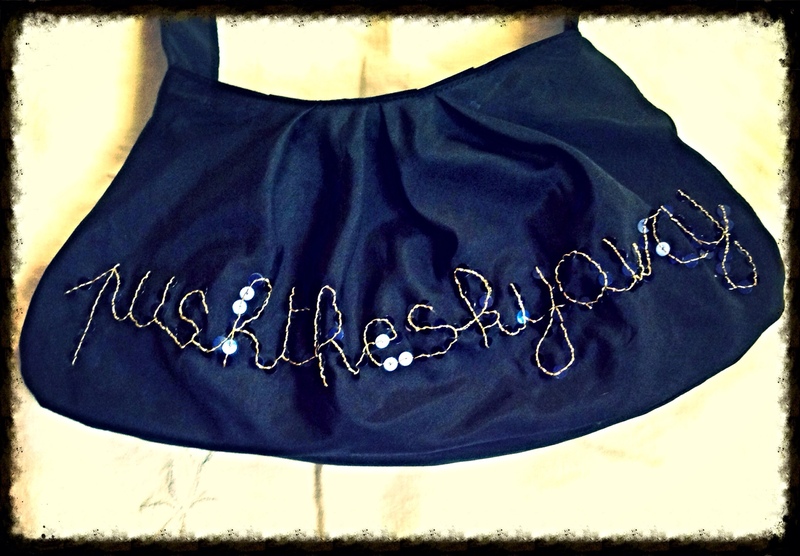 My Nick Cave version of the Betsy Bag, tutorial from Para Noire. This handbag pattern is an absolut must have. I wanted a special, small and light handbag to take with me for the Nick Cave and the Bad Seeds gigs I will attempt in a few weeks in the US. 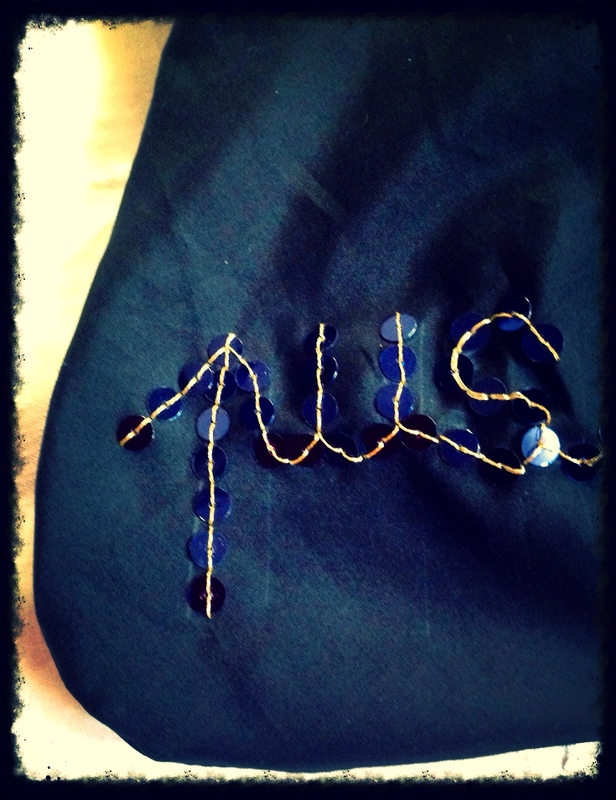 I decided to personalize it with the name of their last record: Push the Sky Away and to embroider it in blue black sequins with gold thread .